Your facial skin is one of the top indicators of health and age, which is why so many of us follow a facial cleansing regimen every day. Taking care of skin and knowing how to get rid of dead skin so it looks and feels good helps to boost confidence, increase attraction, and overall slows down its aging. With the proper skin care routine as well as a good diet & lifestyle, skin can stay looking young even when you’re in your 50s and 60s. If you’re interested in learning how to exfoliate your face with natural methods, then you came to the right place. Keep reading to learn why it’s so important! Taking proper care of your skin requires more than just daily cleansing and moisturization. Skin is constantly being exposed to things like the chemicals, indoor and outdoor environments away from home, and even contact with other people’s skin. With all this going on, your skin is also constantly regenerating new cells, creating a top layer of dead skin on your face. For a woman with healthy skin in her 20s, the skin regeneration process on her face naturally occurs in a span of 14-25 days. The speed of skin regeneration depends on several factors such as skin texture, tone, genetics, potential sun damage, and lifestyle choices. With age, the body’s natural process of skin regeneration slows. By the time a woman reaches the age of 30, the regeneration process rises to a span of 30 days, at the age of 40 – 40 days, and so on. When this becomes the case, exfoliation is all the more important. A regular skin care routine that incorporates proper exfoliation can make all the difference in the appearance of an older woman’s skin. Knowing how to get rid of dead skin on face is an important part of skin care and should be done two times per week, or once a week if your skin is sensitive. 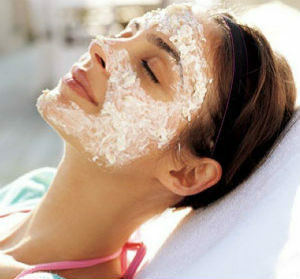 Exfoliating the skin allows the newly regenerated skin to breathe and show itself to the world. It also promotes the generation of new skin underneath, making it important to exfoliate on a regular basis. With all of these benefits, you might be wondering why you aren’t exfoliating your skin every day. Like mentioned earlier, your skin should be exfoliated only one to two times per week. 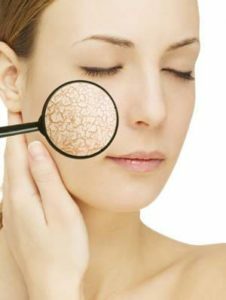 Over exfoliation can lead to dryness and irritation of the skin. With all of these benefits, it’s important that we exfoliate our skin in the best way possible. That being said, it’s always better to go for a natural method rather than always relying on shelf-products we find at the store. 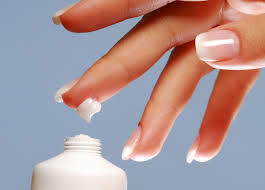 Store-bought products contain harmful chemicals that will overall irritate, dry out, and harm the skin. The natural skin exfoliation remedies and recipes we’re going to share with you are not only safer than store-bought products, they’re also cheaper and just as effective. Before exfoliation, it’s important that you cleanse your face free of any dirt and makeup. You can go about your typical cleansing routine if you would like. To help make the exfoliating process more effective, you can either finish your initial cleanse with a final rinse with hot (but not too hot) water or “steam” your face. Steaming can be done by taking a hot shower, holding your face over a pot of hot water, or by patting your face with a hot towel. Using heat to open up the pores on your face will allow the exfoliation to occur deep. 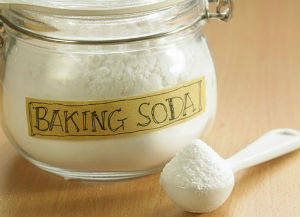 Baking soda has endless benefits for your health, including your skin. It’s naturally alkalizing which can help separate the dead skin cells to wash off. Not just that, but the pH balance of your skin will thank you. Mix together baking soda and a few drops of water to create a paste. Scrub this mixture gently onto your face for 1-3 minutes. If you have time, you can keep this mixture on your face for up to 10 minutes, but no longer so you don’t dry out your face. Rinse your face off with water. Sugar is found in many DIY facial scrub recipes as a popular exfoliator. The texture makes it a great, gentle scrub. Being a natural source of something called glycolic acid, both brown and white sugar can promote skin cell generation and leave skin feeling smooth and soft. Mix together the sugar and oil(s). Scrub the skin gently for a couple of minutes. Honey is well known for its antiviral, antibacterial, and anti-fungal properties. This makes it perfect for fighting acne and skin infections. Not to mention it’s jam-packed with antioxidants that will aid in the regeneration of skin cells. Aside from being a natural exfoliant, honey is also known to be a humectant, meaning that it helps the skin stay hydrated. Mix together the raw honey and sugar. Gently scrub the mixture onto your skin for 1-3 minutes. 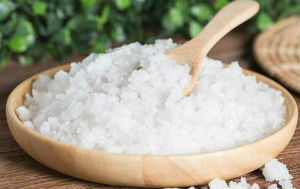 Sea salt and Epsom salt are both rich in minerals to help regenerate skin cells as well as retain hydration. The coarseness of salt makes it a great scrub not just on your face, but for your whole body as well. It should be kept in mind to not scrub too hard with salt, as this can irritate the skin. Mix together the salt and oils. Place this mixture in a glass container that can be sealed, air-tight for proper storage. Gently apply the scrub to the face and scrub for 1-3 minutes. You may also repeat the process for your body if you would like. Apple cider vinegar contains acetic, lactic, and malic acid that works to dissolve dead skin cells rather than scrub them away. It should be noted that those with sensitive skin should take caution as vinegar can create an unpleasant, stinging sensation for some. Mix the apple cider vinegar with the water to dilute it. 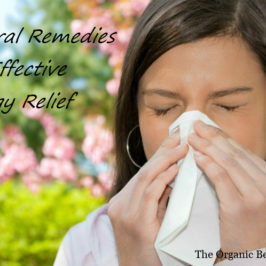 Use a cotton ball to gently apply the mixture to your face. Leave the dilution on your face for 10 to 15 minutes. Rinse off using cool water. Alternatively, you can add a ½-¾ cup of apple cider vinegar to a bath for a whole body exfoliation. Soak for a maximum of 12 minutes and rinse off the mixture when finished. 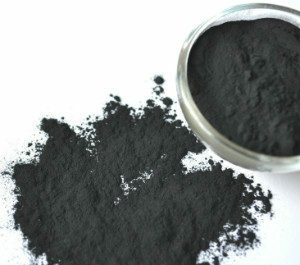 The popularity of activated charcoal for cosmetic reasons has been on the rise lately, and for a good reason. It’s light, grainy texture is enough to gently exfoliate the skin. Due to activated charcoal’s adsorption (not absorption) properties, it helps to pull out toxins from deep within your pores. Careful not to leave activated charcoal on your face for any longer than 1 hour, as it can dry out the face causing irritation. Combine the ingredients to create a paste. If needed, add a little bit more water or charcoal powder to achieve the desired consistency. Apply to the face and allow the mixture to sit for a minimum of 10 minutes and a maximum of 1 hour. Oatmeal is one of the most popular exfoliators because of how gentle it is to the skin, making it a perfect ingredient to use on the face. While exfoliating, it also moisturizes and reduces inflammation. If you deal with very sensitive skin, oatmeal is a great choice for you. Add enough water to the ground oatmeal to make a paste. Apply the mixture to your face and gently rub in for a few minutes. If you would like, you can leave the mixture on for 10 minutes. Coffee grounds aren’t only good for helping you wake up in the morning, but for helping your skin wake up too! Its coarseness helps to exfoliate while the caffeine naturally improves the circulation of your skin, helping regenerate skin cells. Combine the oil and coffee grounds together. Add enough water to create a thick paste you can apply to the face. Apply to your face and scrub gently with circular and upwards motions. If desired, make this recipe in larger batches to help remove cellulite on your body! After you’ve used one of the natural exfoliation methods we shared with you, it’s important to moisturize your skin. You can use your favorite moisturizer or opt for a natural choice like coconut oil. Whatever you choose is fine, as long as you moisturize. Never exfoliate daily. The most you should exfoliate is twice a week. Depending on your skin type, you may even be better off exfoliating once every two weeks. Moisturize your skin after cleansing and exfoliating, especially during cold months. Always exfoliate gently and in a circular motion. Pressure is not needed and can cause damage to the protective layer of your skin. If you find your skin becoming irritated after exfoliating, take note of how often you’ve exfoliated and increase the amount of time in between each one. Always remember that the key to having healthy looking skin is not only achieved with the proper skin care routine but more importantly, by following a healthy lifestyle. Most people who have suffered from skin problems their whole life find that making a simple change in their diet can help to reduce, or even eliminate issues such as dry, flaky skin, rashes, acne, etc. A healthy diet rich in fresh fruits, vegetables, healthy fats, whole grains and lean, free-range meats is a great place to start. Partner this healthy diet with exercise 1-3 times per week and your skin will thank you. Now that you learned all of these different methods of how to get rid of dead skin on your face naturally, which one are you going to try out first? What works best for one person may work differently for someone else. Consider what type of skin you have and try out several of our recipes to see what works best for your skin.